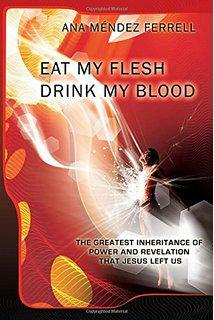 Eat my flesh, drink my blood | Karmal Books online Christian books and media store. This book is fresh and alive with revelations concerning the act of Communion, one of the subjects that have been misunderstood among the traditional and contemporary church. The Lord reveals himself dynamically; to reform the most powerful inheritance He left us, through eating His Flesh and Drinking His Blood. Through this amazing book, you will discover the real manifestations of God, opening doors to experience a new relationship with HIM.